Who would want to be friends with a wiggly, slimy worm? You can't even tell which end is which! But there's more to these lowly creatures than meets the eye. 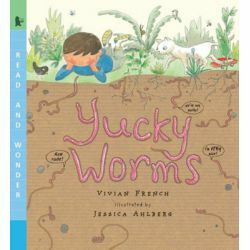 Kids are invited to find out where worms live, see how they move, and understand why gardeners consider them friends with the help of this humorous and informative look at an unappreciated — and fascinating — creature.